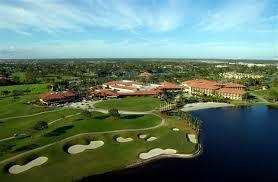 Ranked as Florida’s #1 “Best Buddies Trip Destination” by Golf Digest and 2013 winner of TripAdvisor’s Certificate of Excellence, PGA National Resort and Spa is Florida’s leading luxury golf resort, attracting both casual and serious players and their families with an unrivaled array of programs, activities and luxury amenities. In collaboration with resort leadership, we completed a $5 million financial turnaround over a nine month period, a strategy which was originally planned on a three-year timeline. The turnaround generated a 25% increase in annual revenue, allowing for increased marketing and compensation budgets as well as property-wide facility improvements. Group sales operations were streamlined, and spa retail sales were boosted from 8% to over 15%. To support sustained profitability, a 5-year business plan and an annual marketing strategy were developed.